It is said to be the best public golf course in California and this is not by chance. Its beauty resides firstly on its location. Located in the famous Pebble Beach of Monterey, seven of the eighteen holes have some stunning views of the ocean, situated on top of the Cliffs of Doom. This fact, combined with the small greens of the whole course (an average of 3.500 square ft., around 325 square metres), makes Pebble Beach Golf Links a beautiful and at the same time challenging opportunity to find our best shots. It is also the shortest course of the PGA. With Augusta National and the Old Course of St Andrews, this one is in the top-three most watched golf courses in television. A lot of tournaments have been held here, like the yearly AT&T Pebble Beach National Pro-Am, five U.S Opens (in 2019 will host its sixth one) and four U.S Amateur (holding the fifth in 2018). Pebble Beach also counts with some memorable holes. Check the par-3 number 7, the par-4 number 8 or the most famous finishing hole, the 18th, a par-5 that will make your adrenaline rush while testing your ability to focus, due to the stunning beauty of the surroundings. You can also check out their beautiful and up to date website, where you can experience every hole thanks to live cams and photos from the community. The website is shared with other Pebble Beach public courses, such as Spyglass and Spanish Bay. The bad news is its cost, around $500 per round. However, we assure it is worth every penny, and that you will remember that day your whole life. Jack Nicklaus did not hesitate when he said: “If I had one more round to play, I would choose to do it at Pebble Beach”. No more questions, Your Honor. With a name that comes from Spanish, meaning “hobby” or “pastime”, this golf course offers some great views of the Monterey Bay while having some really hard holes. Don’t be too confident about the mainly relaxed first nine of the course, because the hard part comes afterwards: the last nine. It was designed by the famous golf course architect Alister McKenzie, creator of more than 50 courses, including the famous Augusta National and Cypress Point. In fact, you can see his house in the sixth hole, where he lived until his death in 1934. Actually, McKenzie created this course before Augusta, and it is said that the idea came from Pasatiempo. It seems a true story, as a of a lot of players say that some holes reminds them of the famous Georgian course, with abundant bunkers and undulated greens which makes it quite difficult to hole out the putts. Its prices are somehow cheaper than Pebble Beach, but still quite expensive, with rates starting at $260. Situated only 27 kilometres away from Pebble Beach, Spyglass combines the style of Pine Valley and Augusta National, and more than one person say that it is one of the few great courses to never have host a Major Championship. Designed by Robert Trent Jones, its name comes after the Spyglass Tavern from the book “Treasure Island” by Robert Louis Stevenson. Actually, it is located on the Stevenson Drive, all of its holes have names coming from the classic book: The Blind Pew (the 4th), the Signal Hill (the 8th), the Skeleton Island (the 12th) or the Jim Hawkins (the 15th) are some of them. This track is regarded as tougher than its Pebble Beach neighbour courses, with some large bunkers and huge putting greens. Most users concur that the first 5 holes are the best ones, followed by an interior route, less impressive but always demanding. Prices fluctuate between $225 and $400, similar to the other courses from the area. 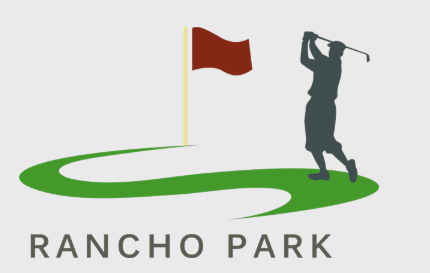 These two municipal courses are some of the best ones in the South of California. Only 10 minutes from the city of San Diego, Torrey Pines takes its name from the rare trees that cover a great part of both courses. Operated by the City of San Diego, its most famous tournament is the Farmers Insurance Open, where both courses are played. However, the South course is a bit longer and more difficult than the North one. The rates are cheaper than the courses we have seen until now, with rates from $38 to $78 for residents, and from $122 to $252 for non-residents, depending on the day and time you want to play. But this also means it is a bit overcrowded: the only way of getting most tee times is by telephone lottery, which is done every day at 7:00 p.m., for tee times 7 days ahead. So if you are planning on playing in this course, you should start calling for reservations some weeks before! Moorpark is a little town which belongs to the county of Ventura, really close to city of Los Angeles. Since its opening in 2002, it has been rated as one of the five best courses in the whole State, and appear multiple times in the top-100 list. Being one of the cheapest courses (the rates waver between $15 and $80), it offers a great variety of services: driving range, carts and clubs rentals, a pro shop and the possibility of booking tee times. The track is really well-maintained, with only one issue: due to the low prices and great quality, it is usually very busy! Despite having to compete with some great courses from Pebble Beach, this course is said to have the best views any golf course can dream of. 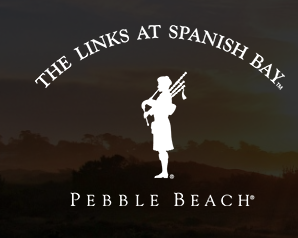 With a classic Scottish style, Spanish Bay Golf Links seems to have been designed to make you feel the beauty of the country where golf was born: rolling fairways, white sand dunes, the Monterey coast and the bagpipe sound which indicates the end of the day. Apart from great holes (check out the 14th, a par 5 which was listed as one of the best 500 holes in the world by Golf Magazine), it also counts with a delightful post play-experience they call the 19th hole: a great restaurant with outdoors seating to contemplate the stunning views of the Pacific Ocean. As Spyglass and Pebble Beach Golf Links, you can virtually see each part of the track in its fantastic website. By far the best public golf course in the city, Sandpiper Golf Course was built upon a place once used for crude oil production. Really well situated, between the Santa Barbara Mountains and the sea, its cliff tops allow you to enjoy fantastic views of the Pacific. Although the design by William P. Bell is pretty conservative, it has some great holes that will test your abilities, such as the 10th (a tough par 4 with an elevated putting green that only the ones with decent handicap will be able to handle), the follow up holes 11th and 12th, or the 18th, a par 3 with an island green in the middle of a big lake, a great water hazard for finishing the best way possible. The prices vary between $75 and $200, depending on the day of the week. You can also enjoy a good driving range, and rent carts and clubs in case you need it. This course, located between FOX Studios and Century City, is a great choice if you love the film industry. Designed by William H. Johnson and William P. Bell, it is a 71-par course, full of undulating hills and small challenging greens, where approaches will require some good skills. If need to practice, do not worry: you have a great driving range as well. The course also counts with a great signature hole: the 18th, a 5-par where Arnold Palmer scored a 12 in 1961, during the first round of the L.A Open. All of it for a quite cheap price: $33 on weekdays and $43 on weekends for residents, only $5 more expensive for non-residents. Two beautiful courses (North and South) sum 36 holes that will test your ability to focus, mainly because their great location, in the coastal town of Newport Beach, really close to the city of L.A. Heavenly sunsets, a great clubhouse and a signature restaurant can make you think about anything but golf. But if you are able to play your game, you will have an unforgettable experience. They also have a nice and intuitive website where you can see all the services they offer. The worse part here, the price: around $300 for a daily ticket. However, the fee comes with a lot of different amenities: access to a driving range to practice before your round, a professional forecaddie, a visual GPS, a luxurious locker room, shoe services and some bottles of water. 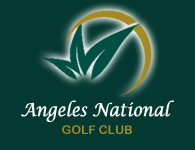 The Angeles National Golf Club had to make it to the list of the best courses in California, and here’s the reason why: this is the only golf course that was designed by Jack Nicklaus in Los Angeles County. It is known also for having one of the best clubhouses of any public course, an almost 3000 square metres with a Spanish-style architecture, and a great bar and pro shop, apart from hosting some PGA Tours, USGAs and regional qualifiers every year. It has also some curious characteristics: it is one of the few courses that have no houses surrounding the course, and very few bunkers (not more than 50). Its greens are fast, and its fairways, narrow; making the course quite exigent. The best hole is the 18th, with great views to the lake; and in the background, you can find a fountain and some agaves, the plant which inspired the club logo. Prices are somehow affordable, but not the cheapest: from $50 to $90 during weekdays, and from $75 to $130 on weekends. These ten courses are only some of the tons of options The Golden State has for practicing this sport. 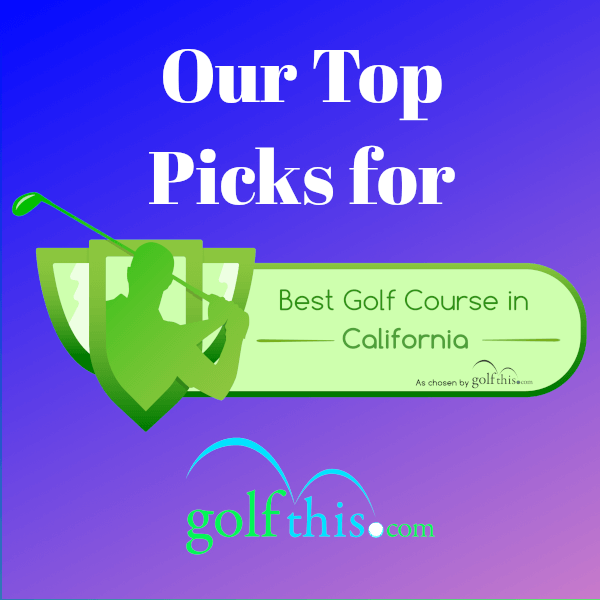 From legendary courses with a lot of golf history kept in their greens and fairways to hidden gems that will make you want to stay there forever, California is the perfect mix of beaches, sunsets, trees and deserts, where golf courses melt in a heavenly way. So do not forget to try out at least one of the ones from this list, and you will probably have one of the most beautiful golf experiences you can imagine. Game on!